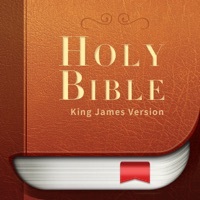 The King James Version Holy Bible. I like the daily verse feature, although when I elect not to show the specific passage for whatever reason I’d like to have another passage as an option. Works even if there’s no internet signal!!! Very useful everyday and when teaching. Great for students. Love the variety of translations. Love everything!!! 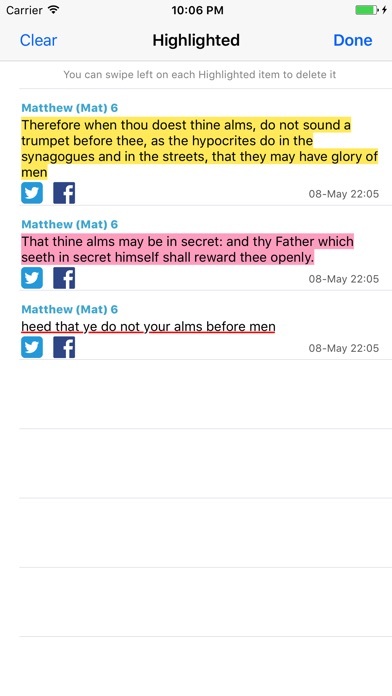 Not good app… My search bar doesn’t even search scripture, and if it does it’s not very user-friendly because I can’t figure it out. Very Good, I love it.The Verses at the beginning, Amazing. For God so loved the world, that he gave his only begotten Son, that whosoever believeth in him should not perish, but have everlasting life 12 And, behold, I come quickly; and my reward is with me, to give every man according as his work shall be. 13 I am Alpha and Omega, the beginning and the end, the first and the last. 14 Blessed are they that do his commandments, that they may have right to the tree of life, and may enter in through the gates into the city. Study to shew thyself approved unto God, a workman that needeth not to be ashamed, rightly dividing the word of truth. The Lord Jesus Christ loves you unconditionally!!! Jesus saith unto him, I am the way, the truth, and the life: no man cometh unto the Father, but by me Thank you for reading. The Lord bless you and keep you; The Lord make His face shine upon you, And be gracious to you; The Lord lift up His countenance upon you, And give you peace Have a good day! Amen in Jesus Christ precious name. In every thing give thanks: for this is the will of God in Christ Jesus concerning you Master, which is the great commandment in the law? Jesus said unto him, Thou shalt love the Lord thy God with all thy heart, and with all thy soul, and with all thy mind. This is the first and great commandment. And the second is like unto it, Thou shalt love thy neighbour as thyself. On these two commandments hang all the law and the prophets. Know ye not that ye are the temple of God, and that the Spirit of God dwelleth in you? If any man defile the temple of God, him shall God destroy; for the temple of God is holy, which temple ye are. Pure religion and undefiled before God and the Father is this, To visit the fatherless and widows in their affliction, and to keep himself unspotted from the world. My sheep hear my voice, and I know them, and they follow me: And I give unto them eternal life; and they shall never perish, neither shall any man pluck them out of my hand. So God created man in his own image, in the image of God created he him; male and female created he them. Pride goeth before destruction, and an haughty spirit before a fall. Delight thyself also in the Lord: and he shall give thee the desires of thine heart. Behold, I send you forth as sheep in the midst of wolves: be ye therefore wise as serpents, and harmless as doves. Flee fornication. Every sin that a man doeth is without the body; but he that committeth fornication sinneth against his own body. What? know ye not that your body is the temple of the Holy Ghost which is in you, which ye have of God, and ye are not your own? But he was wounded for our transgressions, he was bruised for our iniquities: the chastisement of our peace was upon him; and with his stripes we are healed. 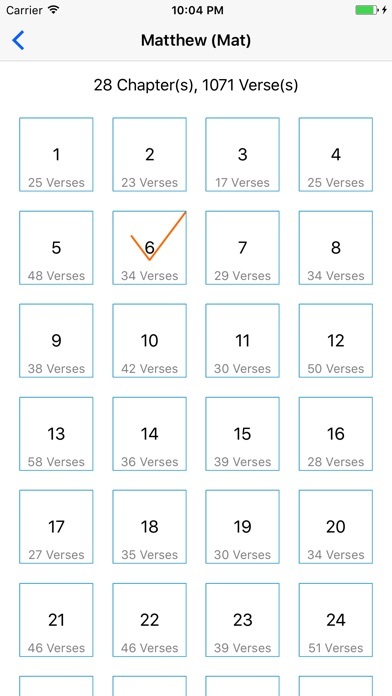 So easy to locate Chapters and verses. I use this book daily, for reading and to save or highlight import passages. This is a great Bible!!! I like the extensive color text options. Like this app. Very easy to use. But the daily verses do not change. The holy bible is very informational. In addition, I like the scriptures that pop up on my iPhone screen either once or twice a day. Thanks. There is no one better than God, Jesus n the Holy Ghost...and the word of the Lord is a great way to stay close to them. Love this app. 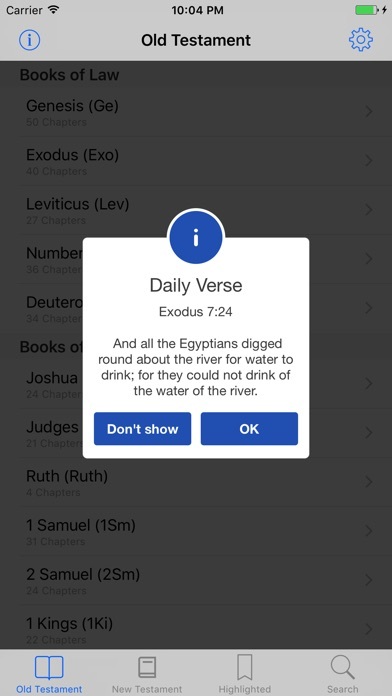 As a teacher and leader of bible study groups - I adore this bible app- what a pleasure to be at work or find spare minutes/ breaks anywhere and open this app and spend time with the Lord. Many blessings! Ease to use. A blessing indeed. A invaluable tool for Christians. I absolutely love it! Very easy to read. Very easy to locate what your looking for. Very easy to navigate. Bible is truly the living Word of GOD! After reading it over for 21years, I can testify ALL the WORDS of the Bible are true! But it baffles me many people are yet to believe in this Book of Life! There are many unbelieving believers all around the globe! For all the promises of God in Him are yea and Amen in Chris Jesus! 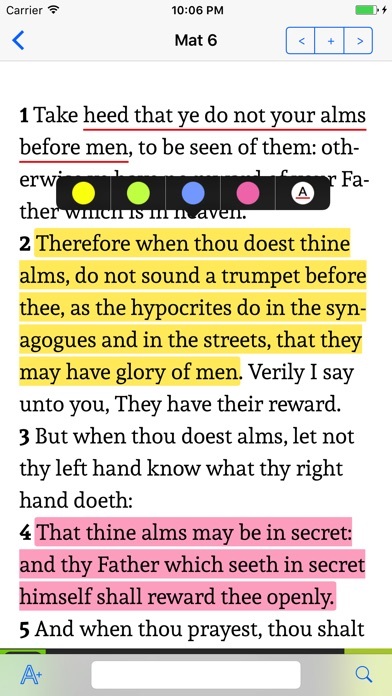 Anyone that read this but not born again should stop now; and do the following: 1. Thank God for everything, acknowledging your sin according to Roma. 3:23, 1John 1:7 2. Believe and confess Jesus Christ as personal Lord and Savior. Roma. 10:9 3. Love the Lord as in John 3:16, Deut. 10:12, Matt. 22:37-40. Do this in all sincerity 4. Be born again as written in John 3:3,5,7 5. Get baptized and start studying the word as written in 2Timo. 2:15. Be doers of the word and you’re on your way to heaven! 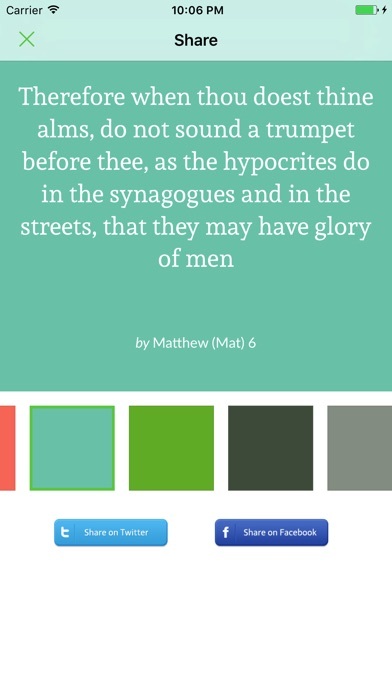 I’m so grateful for this bible app. There are times I’m not close to my bible or has forgotten to put my bible in my bag and was able to go to my bible app. God has changed me and gave me a brand new life in him through Christ Jesus and this app encourages me to continue to walk with God and how much I need God and the Bible. Thank you very much for your creativity and love for God. Good reading, some good stories. Easy except the names are hard. Why on earth would you interrupt the reading of something SO SACRED as The Word Of God with an ADVERTISEMENT???!!!!! App blacklisted and Deleted. To the one who reads this review, give yourself to Lord Jesus, He saves us all from our sins. He died and shed His precious blood on the cross for the remission of our sins. He died, was buried, resurrected, and is alive forever more at the Right Hand of the Power if God. Time is up, He’s coming back again very very soon, repent of your sins while the sun shines on you and you take a life giving breath. Brother or sister?, I love you and care for you, please seek Jesus and He Will find and forgive you of whatever sins you’ve done. I promise you this, peaceand grace be to you and may God bless you.